Vipin Arora | Debate Competition is one of the competitions, organized by the English Department of the school, in order to encourage the students towards the importance of language, motivate, build confidence and inculcate public speaking skills. The English Department organized the competition and all the four houses (Strikers, Riders, Wizards & Warriors) of the school participated in the competition. Riders and Strikers were given the topic “The advance technology has ruined the morality of the youngsters” where as Warriors and Wizards were given the topic “Lessons learnt at field are better than the lessons learnt in classroom”. The students shared their views pertaining to the topics given to them confidently. 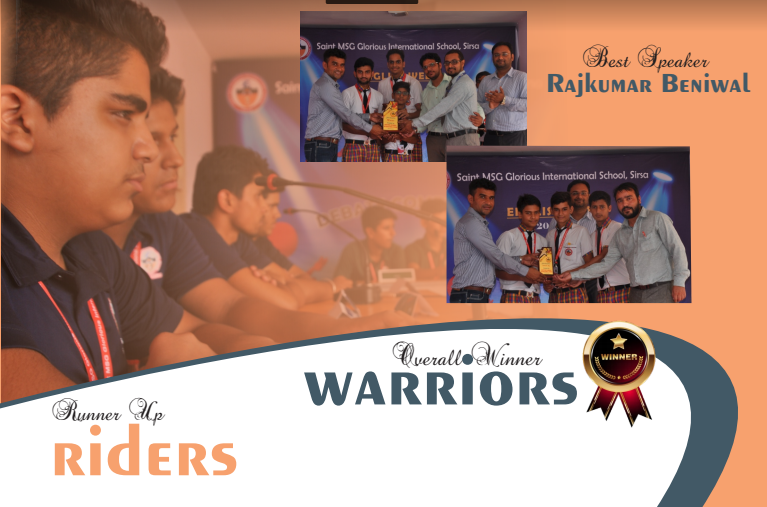 The houses Riders and Warriors secured place in finals. 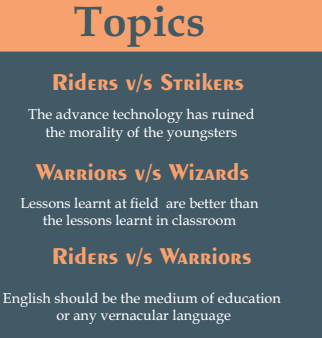 In the final round, the topic was “English should be the medium of education or any vernacular language” The warriors were the overall winner whereas the Riders were Runner up. Rajkumar Beniwal was declared as the Best Speaker. At last, the school’s administrator awarded the winner houses with the trophies and certificates. He further addresses the students and focused light on the importance of such competitions.